Bloomsbury USA Childrens, 9781599907567, 336pp. When Tamisin Warner's swim coach sends her home with something sprouting from her back, she feels more mortified than magical. Until the Something turns out to be wings, real wings that can fly! As the magic takes hold of Tamisin's life, she finds she is not just any fairy, but a princess, the daughter of the fairy queen. E.D. 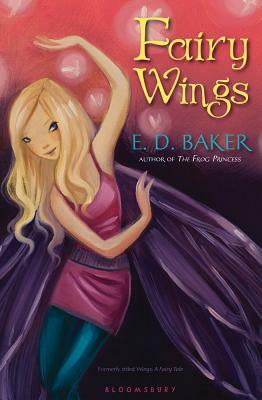 Baker masterfully takes readers on a journey to a land of strong heroines, funny sidelines, and a dash of romance.